Balmy weather, great shops, world famous art galleries, a sandy (manmade) Mediterranean beach and breath-taking architecture. 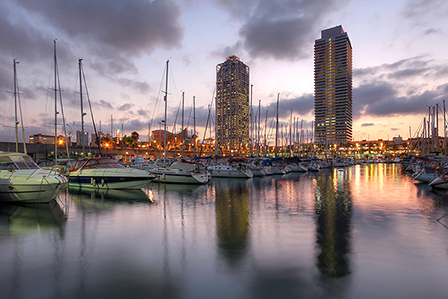 Barcelona has all this and more besides. Its club scene is world famous, its restaurants are outstanding and we list nearly 20 world class cocktail bars and lounges below, plus our tips and favourite hotels. The capital of Catalunya, Barcelona lies sandwiched between mountains and the Mediterranean coastline, close to the border with France. The region, while part of Spain (for the moment anyway), has its own distinctive cuisine, dialect and culture. 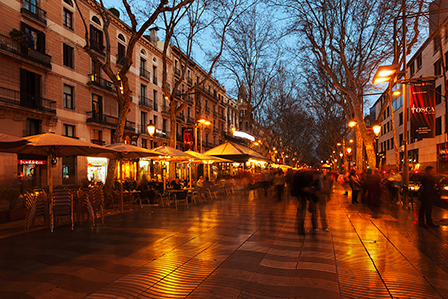 Besides the architecture, which includes Antoni Gaudi's surreal buildings, shopping is one of Barcelona's great attractions. 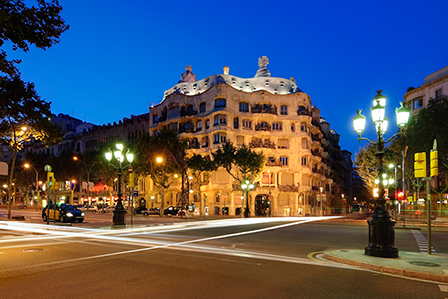 All the big international designer names are represented along Avenida Diagonal and the Passeig de Gràcia. The climate is pleasant for most of the year and even in the winter it is rarely genuinely cold. In August the heat can be oppressive, and many bars and restaurants close for the entire month. 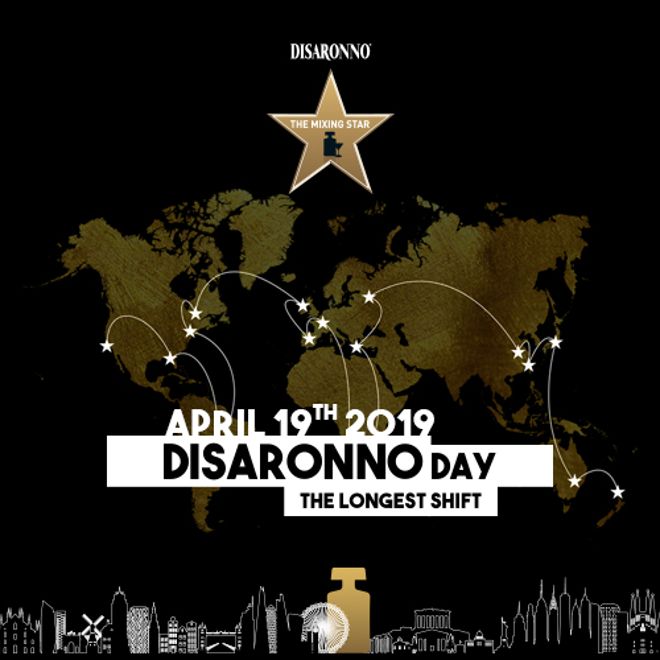 Most shops also close between 1:30pm and 4pm but then stay open till 10pm while the bars stay open until near sunrise. 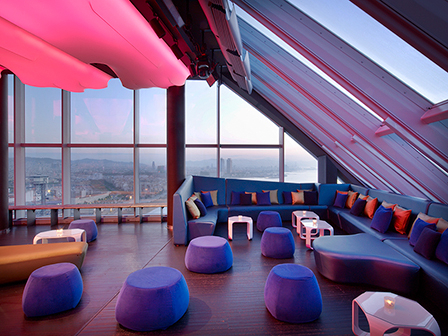 Barcelona's clubs have gained the city a reputation as one of Europe's great party cities. It also boasts a number of classic, old-school cocktail bars, as well as plenty of contemporary, designer lounge bars, but perhaps best of all are the tapas bars that lie on practically every corner. The largest and most important wine region in Catalunya is Penedés, where a wide range of red and white grape varieties are grown. However, the area is most noted for its white wines. Cava, the sparkling wine, has its own denominación de origin, and xampanyerías, bars which specialise in serving cava, are distinctive to Barcelona. Barcelona has many small, intimate, classic cocktail bars that feel as if they should be off the lobby of a grand old five star hotel, but are in fact set among parades of normal shops. 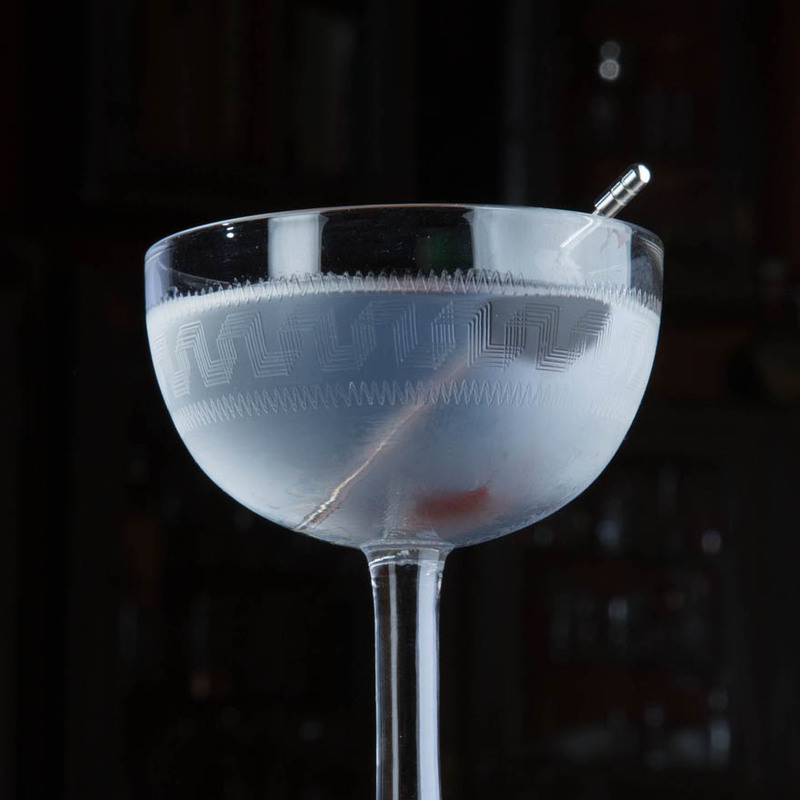 In these, classic cocktails are king - particularly the Dry Martini and the Gimlet - to such an extent that these drinks have lent their names to a couple of the cities best bars. ('Gimlet', incidentally, is pronounced 'Jim-Let' here.) 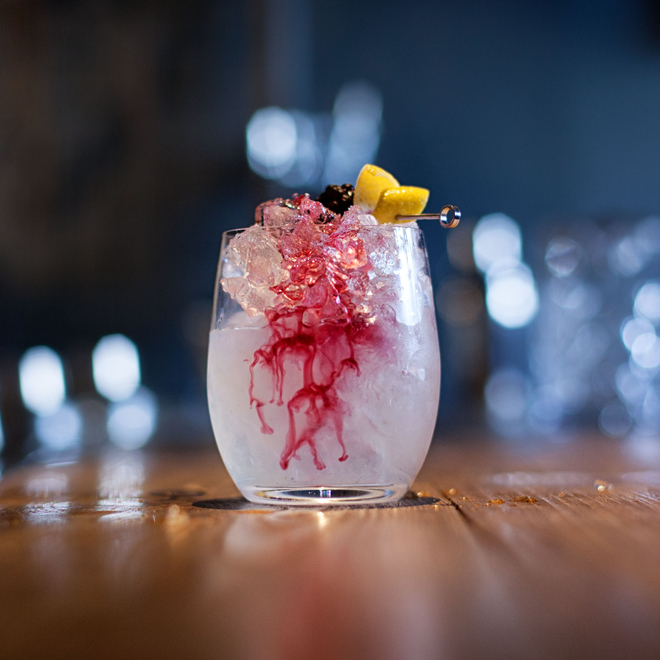 However, we English have so successfully exported the Gin & Tonic to Spain that both brand of gin, tonic water and suggested combinations of the two tend to dominate drinks menus to the detriment of more creative concoctions. Many of the bars appear to open in shifts. Those that open early usually close relatively early, while late night bars usually stay open well past 3am and the clubs party on till 5am or 6am. All the action starts a couple of hours later than in most other European cities so don't rush off the beach. Young American readers may like to note that the legal drinking age in Barcelona is 16 years. Dress tends to the smarter side of casual, and should you be seeking a party atmosphere, head to the harbour areas of Port Olímpic and Maremagnum. This long established old-school Barcelona cocktail bar is the uptown estranged relation of the downtown cocktail bar of the same name. As the name suggests Gimlets are something of a speciality. Established and lovingly tended by two bartenders, Luca and Bruno, Old Fashioned is an intimate little place located in the heart of Gràcia. Cocktails are king here to the extent that ordering a beer would perhaps be something of an insult to these passionate and flamboyant bartenders. As the name would suggest, this fabulous bar is gin focussed and so offers a good selection of gin based cocktails but Bobby Gin is famed for its creative range of Gin and Tonics which are offered with a bewildering range of both gins and tonic waters. 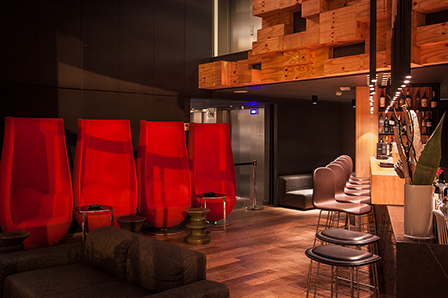 Lounge bar and roof terrace atop a fashionable Keith McNally New York style café. Pull on your best clobber and head up to the opulent boudoir on the first floor, the place to see and be seen. Don't be put off by the garish entrance - this is no tourist trap. 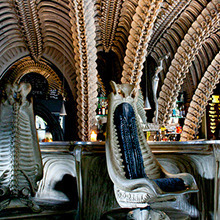 Downstairs you'll find jazz and highly skilled efficient bartenders churning out cocktails in a lounge resembling the lower decks of a ship. Fabulously old-school with flashes of modernity. Bartenders in white jackets produce an array of classic cocktails with a touch of theatre and considerable style. A counter records how many Dry Martinis have been served- be sure to have one - you'll be issued a certificate recording the number of the drink you consumed. On 7th November 2014 I drank number 1,044,571. 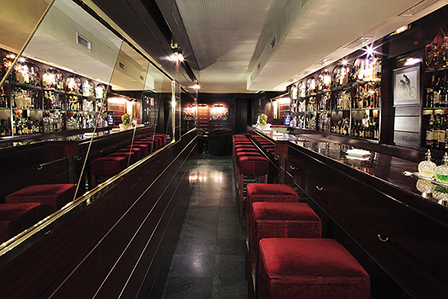 This classic cocktail bar opened in 1931 and apart from the tall modern refrigerator holding 74 different gins and vodkas little has changed in this timelessly furnished museum piece of a bar with its mahogany panelling and red upholstered armchairs. 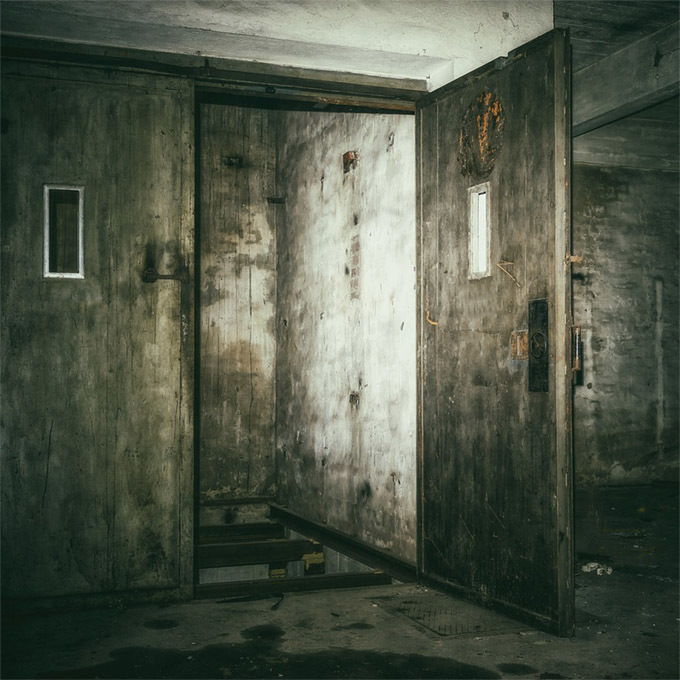 If you manage to get your name on the list, find the right door and scale the spiral staircase to what was an apartment, then you've infiltrated Barcelona's most secretive bar. It's worth the effort. Slow mixes old-school bar service and drinks with night club décor and opening hours - its open till 5am during the week and 6am on Friday and Saturday. Slow is also memorable for Paco, a bartender who - how shall we put it - has been around the block. The location which Harry's Bar occupied for 22 year is now home to this very slick cocktail bar owned and run by the Pernia family - also owners of nearby Tandem cocktail bar. 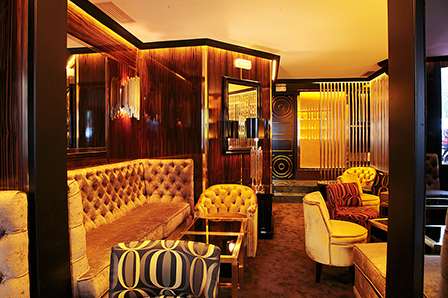 The décor is golden and the classically styled cocktails perfectly executed. Luxurious and refined. This narrow fronted classic cocktail bar is no wider than a one car garage, its varnished dark wooden bar stretching far back, with shelves groaning with bottles its full length. Classic cocktails the order of the day here. 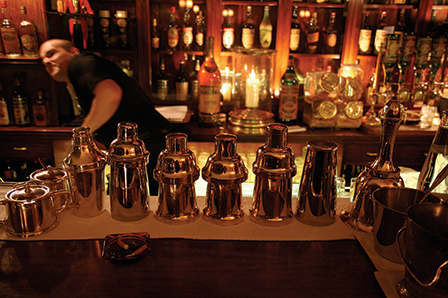 For years the only bar in the world where the throwing method of cocktail mixing was practised. 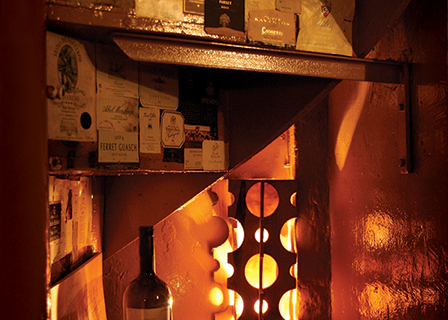 In fact little has changed in this tiny little bar since it was opened by Miguel Boadas in 1933. Coming here is like a pilgrimage to one of the sacred shrines of the bar world. The drinks are classic and punchy - very punchy, and still thrown. 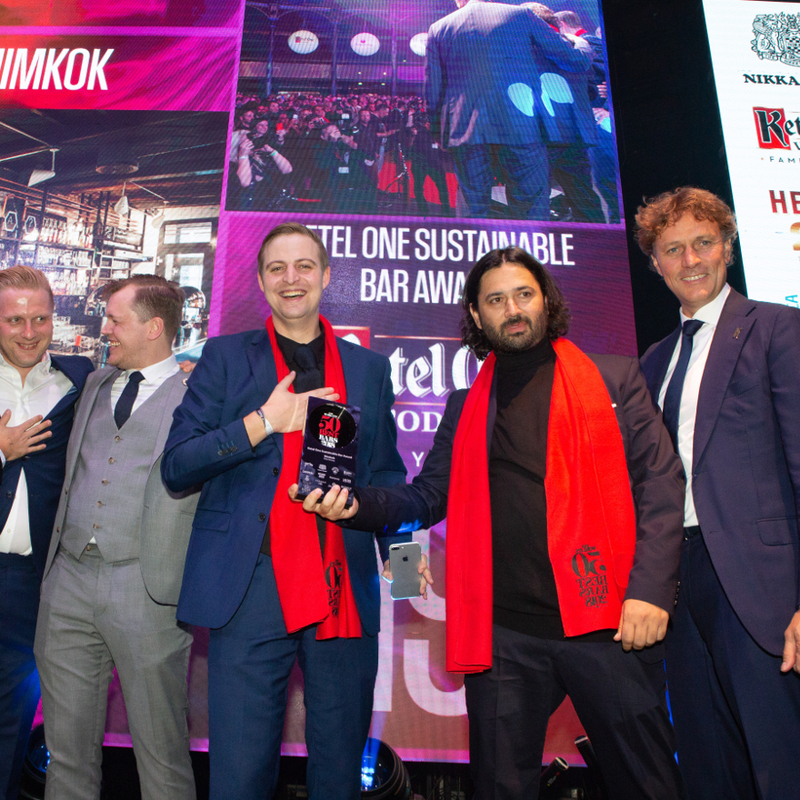 This Boutique modernist bar, just off the lobby of the slick five-star Ohla Hotel is special due to its bartenders, both World Class finalists: manager Giuseppe Santamaria and Spain's 2014 winner Giacomo Giannotti. Their cocktails are innovative and beautifully garnished. This street in the El Ravel district might have a slightly grungy reputation, but Negroni is elegant and stylish throughout from its decor to its cocktails and clientele. The drink of choice here... a Negroni of course. On the south-eastern corner of the regal Plaza Real you'll find Ocaña, a huge and very fashionable joint combining terrace, restaurant, club and the atmospheric Apotheke lounge bar in the basement. Opened in 1979, this small bar occupies a single wood-panelled room with art deco styling dominated by a long, polished mahogany bar. 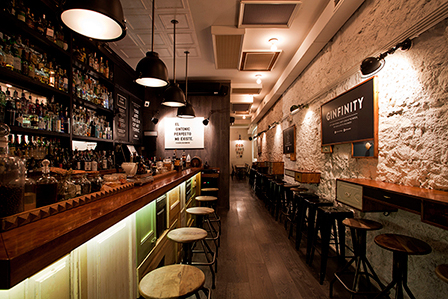 This is a no-messing cocktail bar where the classics are king so don't expect a menu. 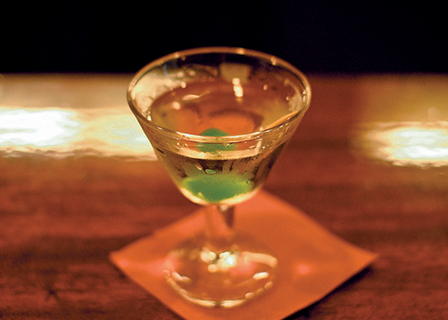 Tasty Gimlets garnished with a green crème de menthe cherry are drink of the house. Not a bar or even a restaurant, this is the showroom of the Escolá wine and spirit distribution company. Here you'll find one of the best selections of wines and spirits in Europe and a good selection of bar equipment for sale. Joao Eusebio runs masterclasses in the cavern bar below. The wines are spectacular and the square in which this bar lies is a great place to sit and quaff. 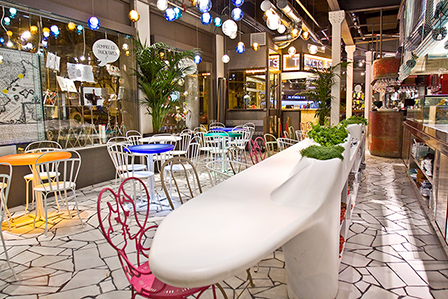 This little cocktail bar lies a little way out of the centre of town in the La Torrassa neighbourhood of L'Hospitalet. Few tourists make it over to this part of town so you'll find this series of intimate, wood panelled rooms frequented by friendly locals. Built into the former ruins of a medieval palace in the narrow streets of the Old Town, your taxi driver may have problems finding it and few taxis will venture up the narrow street to drop you at the hotel's door, but the Mercer is worth seeking out and the combination of spacious, modern rooms, roof top pool, friendly staff and location make this our favourite hotel in Barcelona. 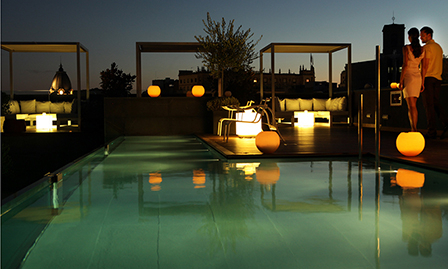 This contemporary hotel lies close to the shops on Passeig de Gràcia. 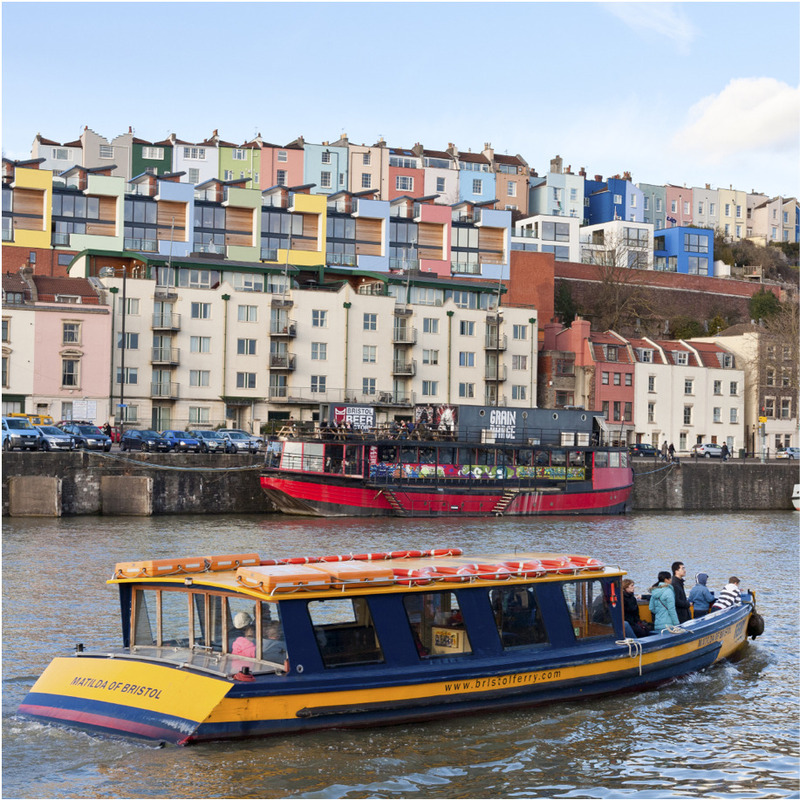 Features include the Moo Restaurant and Moo Bar, plus an open air swimming pool. The rooms are spacious, well-appointed and modern. Modern design and fittings influence the grand old building that was previously Barcelona's first department store. Ohla boasts two restaurants (one Michelin-starred) and two lounge bars - one (listed above) and the other occupying the rooftop terrace along with a small pool.